Previous postYOGA IN 5 BELOW! SOMEONE IS IN TROUBLE FOR THE BROKEN CAMERA! 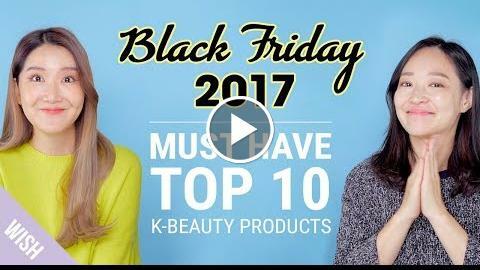 Top 10 Korean Beauty Products for Black Friday 2017 Wishtrend Black Friday Sales! Black Friday is here and it’s better than ever! Check out our the crazy discounts for not just the products but ALSO the shipping fees as well:D You don’t want to miss this chance, it’s time to Just Stock Up!